An Ordinary Tragedy weaves a fascinating, tragic narrative about what’s underneath the surface of a family. 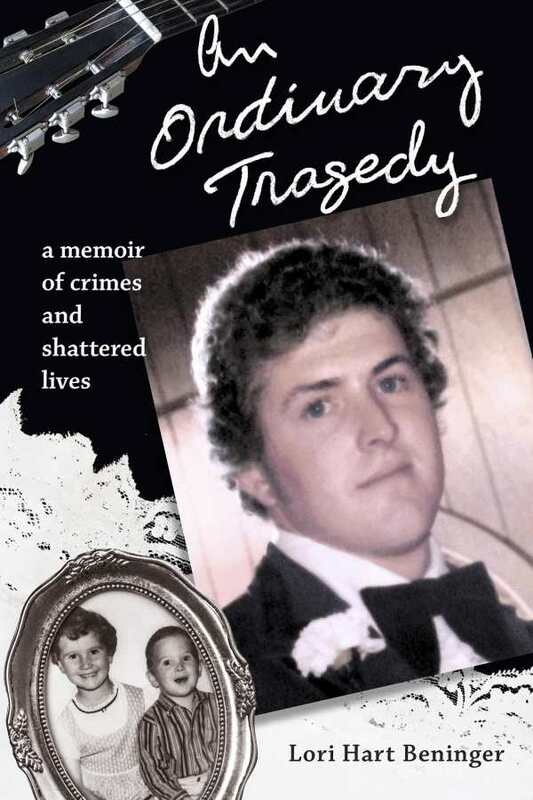 An Ordinary Tragedy: A Memoir of Crimes and Shattered Lives by Lori Hart Beninger is a memoir of how keeping up appearances sent one family hurtling toward tragedy. Beninger was the oldest of three children, and her brother Scott, the middle child, is the focal point of the book. Despite a prosperous, seemingly calm upbringing, Scott, unlike Beninger and their younger brother Grant, spirals out of control, beginning with casual neighborhood theft that led to juvenile detention, escalating to the deception and violence that ended his marriage, and continuing all the way to his tragic, accidental death. Through her recollections, Beninger tries to make sense of what happened to her brother and to her family, grasping to answer the echoing questions that haunt families. The book is a mix of specific memories and overall reflections. The opening scene, a family dinner in 1979 to meet Scott’s fiancée, boils with Beninger’s internal conflict and sets the stage for the family drama, filled with contrasting and mirrored personalities—it’s the culmination of a quiet family meltdown. From there, Beninger goes back to Scott’s birth and traces the family’s history, sharing the secrets she knew or suspected at the time, and the ones she found out only years later. The family’s story has many relatable elements: sibling rivalry, middle-class pride, infidelity, and denial. But as Beninger traces the family secrets deeper, she finds trauma and likely mental illness beneath what at first may seem like ordinary dysfunction. Beninger’s writing is filled with raw emotion, and she deftly balances writing in the moment of each reminiscence and reflecting on the past from a distance. She is unselfconscious, open, and honest—not conveying herself as a perfect sister with a deviant brother, but showing a whole family with strengths and weaknesses. The narrative is rooted in her perspective and centered on Scott, but it becomes a portrait of generations of her family, particularly as she strives to make sense of the life and death of her brother. While her story is personal, her reflection shows keen understanding of child psychology—for example, the siblings fit common birth order models well: caretaker, rebel, and peacemaker. The book package is well developed with apt epigraphs and an appealing, easy-to-read typeface and layout. The cover images of family photos give the book a personal feel, but professional design keeps it from looking like a scrapbook.